Hulu Plus subscribers will have plenty of time to don their detective caps as the streaming service just inked a multi-year agreement with CBS securing exclusive rights to stream every episode of CSI: Crime Scene Investigation ever produced. That comes to more than 300 episodes from every past season, enough to keep viewers occupied for several weeks of binge watching—and that’s if they don’t take time for such distractions as work, family, and personal hygiene. CSI: Crime Scene Investigation has aired since October of 2000 and is a staple of the red-hot crime drama genre that it helped popularize. Now in its 15thseason, the show has won numerous awards and spawned several spin-offs, including CSI: Miami and CSI: NY, both of which it managed to outlive. This is the first time that CBS has made the series available to a streaming service, and as you can imagine, Hulu is sitting on cloud nine. Likewise, it’s another indicator that broadcast channels are becoming increasingly comfortable making their content available to streaming services. 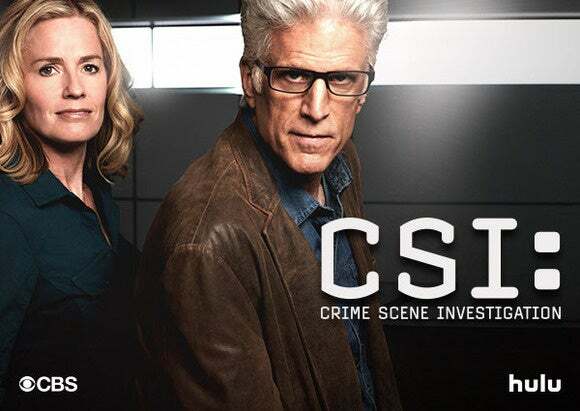 Hulu Plus subscribers will be able to begin streaming past seasons and episodes of CSI in April. The deal with CBS, however, does not include the aforementioned spin-offs or CSI: Cyber, currently in its inaugural season. In addition, it’s unclear how long it will take new seasons to join the back catalog after they air. Why this matters: There’s a lot of activity in the streaming space as competing services try to get a leg up on each other. One of the ways to do that is by signing exclusive agreements; not only did Hulu do that here, but it did it with a highly popular show that’s still producing new episodes. The deal is also another sign that Hulu’s relationship with CBS remains strong. CSI: Crime Scene Investigation will be joined by all previous seasons of CBS’s Elementary, an exclusive arrangement Hulu negotiated through a prior deal.